It's our parent/teacher conference week and so I have been busy, busy, busy getting everything together to showcase the students' work in the best way possible. When deciding how to display my students' last personal narratives, I decided I wanted to create cute little folders to staple on our tack strips, but I didn't want it to take a lot of time to make them cutesy. Time is important right now! 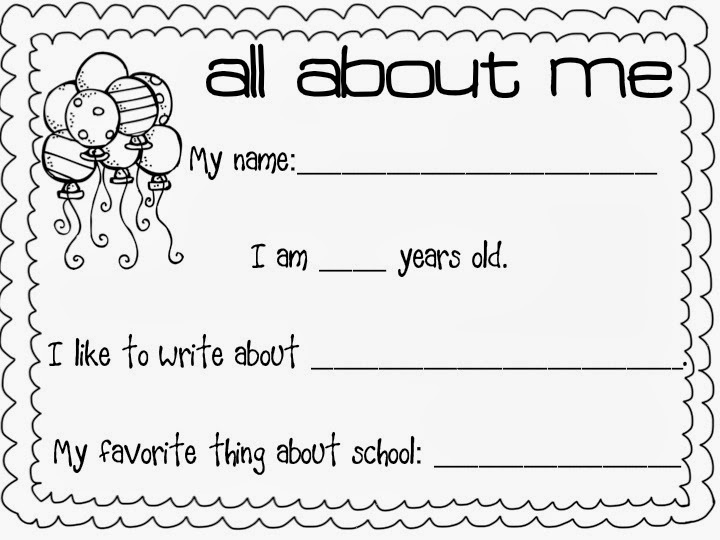 So, I came up with a little All About Me page for the students to fill out and color. I stapled them to the front of manila folders and stapled the sides. Then, I stapled them up onto our hallway display. Then, I put their story booklets inside. Now, when parents are waiting to meet with me, they can find their child's folder, take the story out, read, and enjoy! And, these little sweeties said I'm their favorite thing about school :) Precious, just precious! Here's the page! Just click the picture and it will take you to my TPT site. And, it's free :) Enjoy!